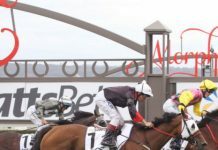 In this podcast episode, South Australian racing analyst Heath Pope answers a number of different questions about how he does the form, prepares rated prices and then stakes his bets. Dave Duffield: We’ve got a series running right now on the differences, but also some of the common traits amongst successful analysts and punters. I wanted to get you on and talk about both form and your betting and money management. We’ll start with the analysis side of things. Would you describe yourself as a data guy or more videos, instinct experience? Heath Pope: I’m what you probably would classify as old school. I specialise in just one area, even though my raw data figures are computer generated, I basically just use those as the base figure with the rest of my form analysis coming from what I actually see with my own two eyes as well as gut instinct, having got to know those horses I specialise in. Dave Duffield: With that knowledge of the horses, your preference is South Australian racing. Why did you choose to focus on that area? Heath Pope: I like to concentrate on an area which is less popular. In regards to Sydney and Melbourne where the markets are very efficient, I would rather concentrate a lot more on an area more where, I believe, I’ve got a much more stronger edge. Dave Duffield: When you’re doing the analysis that you mentioned and it comes down to experience and knowledge of the horses, are you watching videos and taking a lot of notes? Heath Pope: That’s all I do. All I’m doing is watching videos. I do the form for myself but I’m still working for Racenet and I’m also providing video comments for every horse in every race. If there’s 14 horses in a race I’m watching the race 14 times. After a while you do tend to get to know them. Dave Duffield: Are you saying that in the Hilton Donaldson days you’d have to listen to him 14 times, calling the same race. Heath Pope: I miss Hilton! Dave Duffield: Very well. What about speed maps? What role do they play … I’m talking about when you’re previewing a race or trying to determine whether you want to bet into a race. How do you come up with the speed map and then how does that come into you’re assessment in terms of, yeah, I want to bet or no, I don’t? Heath Pope: Speed maps are one of the most important factors in analysing form. It all comes down to me doing the form manually, gut instincts, knowing the horses and also looking outside of the square, as well. A lot of times certain races might look to have absolutely no pace whatsoever, hence it looks too obvious and, some trainers and jockeys who might be behind that slow pace wanting to change things. You get a feel for it after a while and certain horses that can race on the pace … it’s hard to explain really. Some horses are very versatile, let’s just say that. Does that make sense? Dave Duffield: Yeah, it’s interesting what you said there about sometimes the obvious turns out to to run the opposite way because that’s exactly what Andrew Hannan our VIC guy mentioned about speed maps are so mainstream now that trainers and jockeys are all generally looking at similar stuff. So if they see there is no pace there, whereas just a few years ago that’s the way it may have turned out, quite often now it’s the opposite. Heath Pope: Yeah. If you’re going to let Horse A get away with murder up front then your chances of winning the race you are facing an uphill battle. Jockeys and trainers are going to try to do something about that and it only takes 2, 3 or 4 horses to have the same idea then suddenly your race has turned upside down, hasn’t it? Everything is not black and white, so to speak. Dave Duffield: Speaking of jockeys and trainers, you’re fortunate to have a smaller pool in South Australia. You probably get to know the various nuances of certain riders and certain trainers. 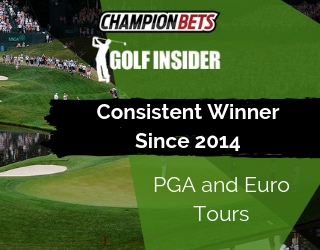 What role does that play when you’re coming up with your rated prices and your bets? Heath Pope: Good question. With more and more information becoming available to the general public, I think it would be fair to say that most everyday punters would directly base their form on each individual horse. However, in the search of an extra edge I think jockey ratings especially, are becoming just as important. However, in regards to trainers I take a different approach, tending to look more at each individual horse’s win strike rates as a way of measuring how successful each trainer is with each of his horses. An example would be most people would blindly assess Tony McEvoy as SA’s best trainer. However, to blindly rate Horse A the same as Horse B, when one might have a 50% win strike rate, and the other of his runners might have a 5% win strike rate, to me it doesn’t make sense to assess them both the same. You could argue one has a lot more ability than the other, however, there is also the argument that he simply has failed to get to know and understand what works for Horse B. Hence, treating every horse individually. Also I must state the importance of a good win strike rate, I think it’s like anything in life, whether we are talking about horses or humans, winners seem to keep finding a way to win and vice versa, losers keep finding a way to lose. Dave Duffield: Barriers? And how differently do you treat them at various tracks within South Australia. Heath Pope: Doing my form manually, I’m probably sounding a bit boring here, so my markets and speed maps are done manually, so what works in Race A is not necessarily going to work in Race B, so would I have any hesitation in backing a horse from barrier 16 over 1000m at Morphettville? Absolutely not if I thought it could cross without exerting too much early pressure and vice versa, one could also argue in many races where horses in barrier 1 could have little to no chance according to some of my maps if I believe they will get back and boxed in so, again, unfortunately, it comes down to good old-fashioned, hard, work. However, I will say, I do believe overall, horses drawn out wide are very much underbet and can become much better betting propositions, than blindly following horses drawn inside. Dave Duffield: Yep. That definitely makes sense. For weights, you mentioned that a lot of the ways you do it, you consider it old school, but it works, so it can’t be argued against. How do you factor in weights in terms of what changes from one run to the next, but also, where the horse’s top weight with 60 kilos or if it’s the third top weight with 58. How much of a role does that play when you’re doing the form? Heath Pope: I must admit I don’t place great emphasis on weights and not as much as what some punters might. In saying that, it’s still an obvious form variable and I may do some tinkering if a certain horse’s weights may differ quite sharply from start to start. Hence, my horse might go from 54 up to 60 kilos or the other way. It’s, in my opinion, it’s a minor form variable. Dave Duffield: Speaking of a minor form variable, would breeding fit into that as well? Heath Pope: Absolutely not. Breeding, no. It is just making a tough game more complex by adding something which in my belief becomes an unnecessary variable, which is a bit of pure guess work. In my experience, breeding, you might come to your specialist wet track sire like Blevic but that’s about it. Dave Duffield: How about weight tracks? I’m pretty sure you don’t get nearly as many as those as we would in Melbourne or, especially, Sydney, at least in recent times. When it is a weight track, are you more confident, less confident? 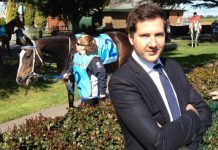 Heath Pope: I still price up my markets however, it would probably be fair to say I do tread a lot more wearily, especially when the horses start heading to the outside fence. In saying that, this is where the jockey ratings can kick in a bit more with the smarter jocks giving their mounts a much better chances in regards to finding the fast lanes, etc. Still, treading wearily. 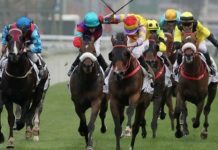 Dave Duffield: Do you prefer to focus on the better races at Morphettville on a Saturday, or a Murray Bridge Maiden? Heath Pope: Yeah, I do tend to focus on the Saturday Metro races. 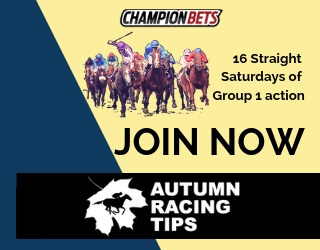 You can find some good bets in the midweekers mainly horses at the top end of the market but they can still can be way overs. A lot of metro runners that have been running good races and finishing just behind the winner. Yeah, there’s opportunities to there mid-week. Dave Duffield: Do you want to explain how your stake your bets? I’m pretty sure it’s not level staking. Heath Pope: Absolutely not. No, level staking makes absolutely no sense. Investing the same amount of money on a runner priced at $3.00 compared to a runner at $10.00…. If you were to do that all the time, it would be a quick way to the poor house I think. Heath Pope: I use proportional staking. I change my bank at the end of each day. I stake my races with a certain confidence level. However, I do find going by my personal figures, my profits on turnover can be higher on the lower conference races. This might sound funny but most of my higher-price winners tend to come in these races. These are normally races where I am potting the favourite or the second favourite. Dave Duffield: If you’ve got one rated $4.00 for example and then the market’s $5.00, do you have the same amount on that as if the market was $8.00? Heath Pope: No. I think that’s where we start respecting the market, so to speak. Even though, I believe I’m betting with an edge I’m not naïve enough to think if I’ve rated something evens and it’s paying $8 that I have missed something. I will still have it going clearly as my best result. However, I wouldn’t bet it as aggressively. Dave Duffield: Okay. Yeah. The next thing I wanted to speak to you about was market intelligence. Some people almost completely disregard the market and trust their own figures 100% and you’ve got others that have more of a blend and I understand there’s some pretty smart money out there. Whereabouts do you sit in that? Heath Pope: I think I touched on that where I am respecting the market, even though I I’ve got faith in my markets if there’s a real variance in price difference between my rated price and the markets, you do have to respect it and that’s where I will tend to not bet it as aggressively. Back to my previous example, if I have rated something evens and it’s $8 I might treat it as if I’d rated the horse $3 or $4. 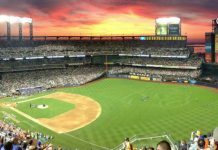 Dave Duffield: What about bet timing? Say for a Saturday meeting, is there much action during the week or is it really only on the Saturday? Heath Pope: I’d love to bet more pre-post betting, but I can’t. The corporates won’t let you on for much these days without getting your account closed. The only way to do it is to bet right up to the jump. The last 5 minutes of betting. It tells a lot of what’s going in the race. You’ve got to be there, you’ve got to be sitting there by your computer and monitoring everything that’s happening. Dave Duffield: Would that more of the futures, whether it’s cups doubles or other stuff. Do you often get involved in that? Heath Pope: No, there’s not much really that happens in South Australia. I will say there’s a lot of South Australia horses when taken over to Melbourne especially last spring carnival they do tend to have a good record and I might have a couple of fun bets, but talking seriously, no. I also tend to stay away from the exotics. I might play a couple of quaddies but in regards to trifectas and all that I’m steering clear. Heath Pope: I would, personally, prefer to bet win only and bet 2, 3, 4 horses a race. I don’t really have time to be working out exactly how I should be placing my exotic bets. I don’t have the time. Dave Duffield: Each way or place only, does that play much of a role in your betting? Heath Pope: It’s win only. Betting 2, 3 possibly 4 in a race, very rarely would I have a place bet or a win only bet. When you’re betting more than 1 horse a race, there’s no point. Dave Duffield: With the multiple horses in a race, is that across different price brackets or do you tend to concentrate on taking on a favourite like you mentioned before or how do you approach it? Heath Pope: I’ve got to say I think there is a favourite bias in the markets. Going on my personal betting figures, horses I have backed over the $20 mark aren’t profitable. I’m obviously tending to stay clear of those now and focusing more on the horses that are under the $20 mark. 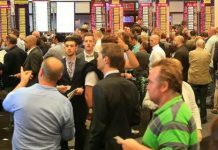 Dave Duffield: With your own betting bank, do you adjust that on a regular basis or do you have a fairly fixed unit size? Heath Pope: I, definitely adjust after each racing day, some people probably do it after each race, but, no, I do it after each racing day. Dave Duffield: Sounds like you keep good results. Heath Pope: You must! Haven’t always, but you have to. Yeah, you’ve got to keep the spread-sheets up-to-date. You’ve got to be honest with yourself first. First and foremost. Dave Duffield: To finish up then, are you measuring your success or otherwise purely on profit, based on the bottom line, what you’ve made for a certain period of time, or is profit on turnover a key-measuring stick for what you do? Heath Pope: I suppose at the end of the day profit on turnovers is what counts but for me, my figure of what I’ve made at the end of the day, that’s the figure that’s hard to ignore isn’t it? I think there’s an argument for both. Dave Duffield: Fair enough, then. Well, that’s the list that we’ve had for a whole bunch of people and it’s interesting how different people go about it in different ways. You’re no exception there, Heath. I really appreciate you coming on the show and sharing that with all the listeners. Heath Pope: Thanks for having me, David.